I am fortunate to work with a group of remarkable colleagues, students and staff. See below for current and past members of my research team. Kristen brings an Anthropology background to Environmental Studies. Her research focused on how wind and its role in larger weather processes is experienced by Fire Lookout Observers who inhabit the Canadian Rocky Mountains. She is particularly curious about the weather’s capacity to engage on practical, sensorial, emotive and creative levels and how this may lend to intuitive ways of knowing. Kristen is a member of the Mountain Legacy Project and very grateful to have gotten out for many a fine season with this wonderful project! Mary Sanseverino is a Teaching Professor Emerita in the Department of Computer Science at UVic. In 2010 she was honoured with the University of Victoria’s Harry Hickman Alumni Award for Excellence in Teaching and Educational Leadership. In 2003 she received the Faculty of Engineering’s award for teaching excellence. Long interested in the scholarship of teaching and learning at the university level, Mary served for five years as the Associate Director of UVic’s Learning and Teaching Centre (2004–07, 2009–10), and for a year as the Centre’s Acting Director (2010–2011). 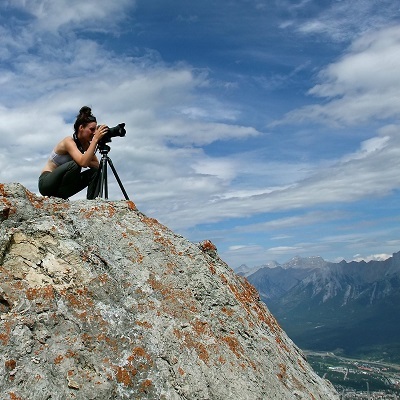 A long time mountaineer and photographer, Mary’s other research interests have involved work with computational photography, making her a good fit with The Mountain Legacy Project. She has been associated with the project since 2010, going out into the field in 2012, 2014, 2015, and 2016. James is interested in understanding the drivers and patterns of rapid ecological change in mountain environments using repeat photography. He holds a Bachelor's degree in History and Geography from Rhodes University in South Africa and a M.Sc. in GIS from the University of Leeds in the UK. 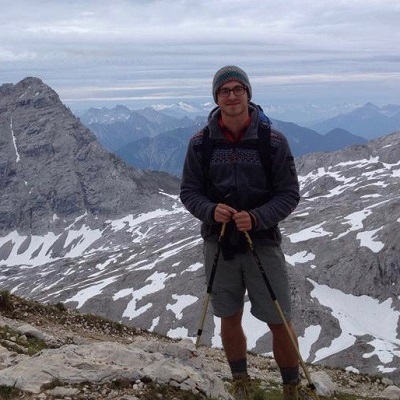 His doctoral research will focus on developing new image classification techniques to identify and map "new natures" in the Canadian Rockies using the Mountain Legacy Project image collection. Cassandra completed an Environmental Technician Diploma followed by a Graduate Certificate in Ecosystem Restoration at Niagara College. She Completed her Bachelor of Science in Environmental Practice at Royal Roads University in 2018 and brings an interdisciplinary background to the team. Her final research paper looked at the environmental, economic, and social elements of the novel ecosystem concept. Cassandra has traveled and worked in diverse regions of Canada, internationally in Ecuador, Peru, and Australia, and through this developed an appreciation for the many ways in which humans interact and have relationships with the natural world. 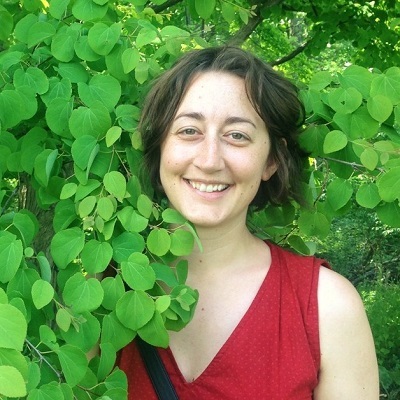 She is interested in ecological restoration as a practice that addresses the degradation in our world and can help bridge the nature-culture divide. Sonia has a Bachelor's degree in Environmental Science and an M.Sc. in Integrated Water Resources Management, both obtained from McGill University in Montreal. 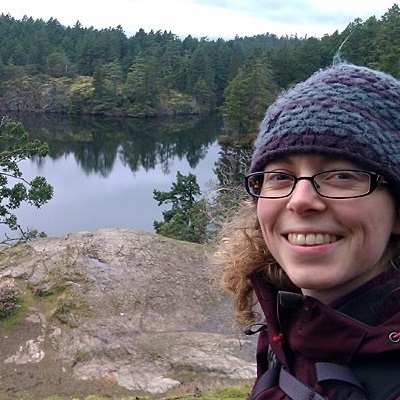 After being involved with the federal government for a few years in various projects ranging from environmental noise pollution to policy and regulations, she moved to Victoria in 2016 in order to complete a diploma in Restoration of Natural Systems. She brings an interdisciplinary research perspective to the team, and hopes to combine her knowledge and interest in ecological restoration with elements of environmental history and geography. She is excited to pursue research on novel ecosystems and how to manage landscapes within a changing climate. Quirin holds a Bachelor´s degree in Forestry from the Weihenstephan-Triesdorf University in Freising, Germany. After previously completing a five-month internship with the Galiano Conservancy Association, he returned to Galiano Island, working on a forest restoration project on District Lot 63. Quirin is interested in forest ecosystems and how they provide habitat for a vast amount of species. He researched the outcomes of an innovative low-impact restoration method used on the site. Jemma completed her undergraduate degree in Natural Resources Conservation at the University of British Columbia and worked for years in the fields of wildlife recovery and habitat restoration before coming to the University of Victoria to pursue her Master’s Degree. Jemma explored the potential of restored, enhanced, and novel urban ecosystems to contribute to biodiversity conservation and support species persistence in the face of rapid global change and extinction crises. Determined to learn how urban communities can co-exist with even the most vulnerable species, her research investigated the patterns of occurrence of native frog species in unconventional urban and peri-urban aquatic ecosystems on southeastern Vancouver Island. Jemma was co-supervised by Dr. Purnima Govindarajulu of the Ministry of Environment. Julie completed her undergraduate degree in Earth System Science at McGill University and completed her Master's as part of the Mountain Legacy Project. She explored the use of oblique imagery as a source of landscape composition information in species-habitat models. She used the MLP’s repeat photography to study changes in the landscape of the Willmore Wilderness Park in Alberta over the last century. She then paired that information with species-habitat models to understand how biodiversity has changed in the park over that time. 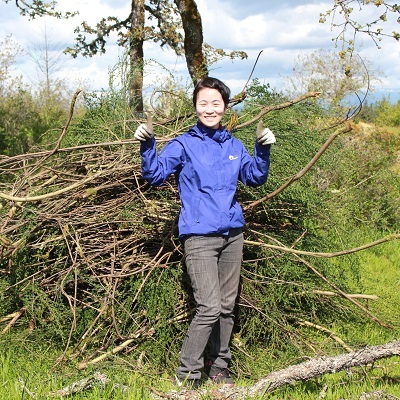 Hyeone Park conducted MA research on relationships of food forestry and ecological restoration and developed a monitoring framework for food forestry. Her ambition is in exploring ways to mutually reinforce food forestry and restoration practices in a way that builds a resilient, multifunctional landscape. She holds a diploma in Restoration of Natural Systems. While she was at the school, she helped the Mountain Legacy Project with management of data and photographs and co-initiated an Edible Campus UVic project. With her multidisciplinary background in art, business, and natural science, she previously worked for a UNDP Wetland Conservation Project and the Marine Protected Area Centre in South Korea before moving to Canada. Last but not least, she is an avid Latin dancer and traveler. 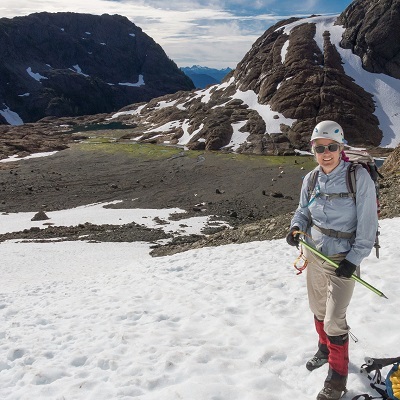 An involvement in interdisciplinary science and interest in the connections between people and their natural environment has led Tanya to various corners of the planet, from the Arctic and Antarctic to the Tropics. She has worked on climate change policy (Yukon Government, 2010), women’s economic rights (Bolivia 2011), marine protected area management and conservation challenges (Panama 2012), novel financing mechanisms and business solutions for environmental challenges (London, UK 2012), scientific photography and mountain research (Canadian Rockies 2014), and historical ecology and archeology (Galapagos Islands 2015). Tanya’s Master's research focused on measuring land cover changes over the past century in the Bow watershed of Alberta comparing historical oblique images with their modern repeats, while looking at flooding implications. The mountain pine beetle outbreak of the past fifteen years has been quite unlike historical outbreaks. Exacerbated by climate, this outbreak has seen the beetle's population numbers swell into the trillions, enabling a range of expansion in altitude, whereby the beetles attached trees higher up mountains; geographically, from British Columbia, into Alberta, Saskatchewan, and the boreal forest; and latitudinally, where the beetle attached further north into the Northwest Territories. How does an ecological perturbation of this size disrupt the worldviews and practice of scientists researching this beetle and these landscapes? What do our scientific experts make of such en event? 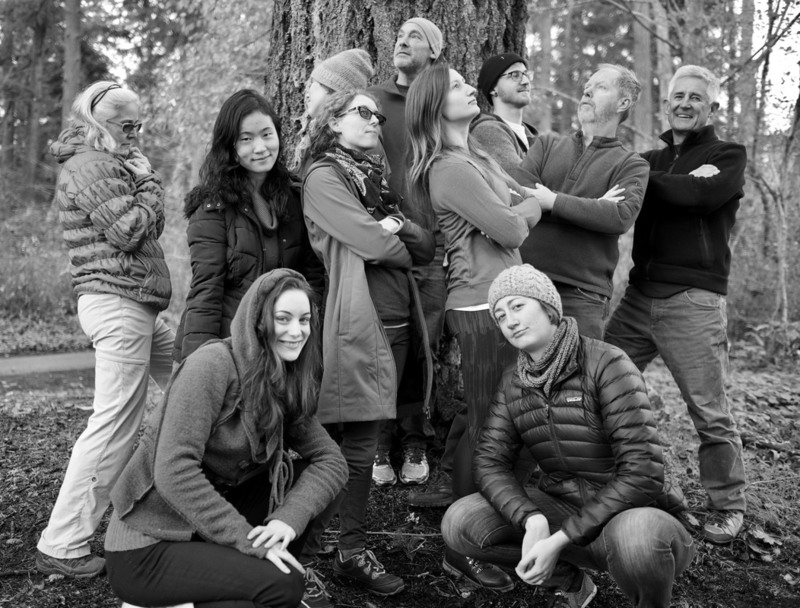 What changes when the mountain pine beetle trigger novel ecosystems that require non-traditional engagement responses? These are questions Heike pursued in her thesis work. Rod Davis is a research associate with UVic’s Mountain Legacy Lab. 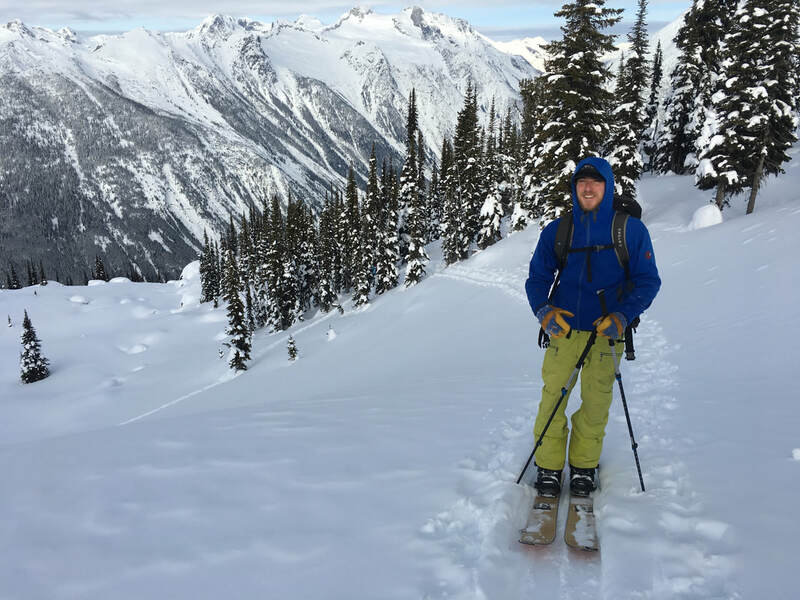 His interests relate to conservation and restoration of mountain ecosystems in British Columbia, with a focus on implications of climate change and resource development on environmental policy and practice. 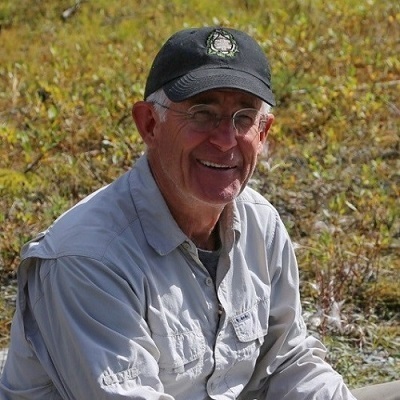 Rod is an Adjunct Assistant Professor in the School of Environmental Studies, and retired from the provincial government in 2007 after 35 years working on fish and wildlife conservation, forest and range practices, land use planning, and environmental protection, among other things. He has a PhD from the University of Victoria focused on wildlife conservation, a MSc in climatology from McMaster University, and a BSc (Agr) in soil science from the University of British Columbia.